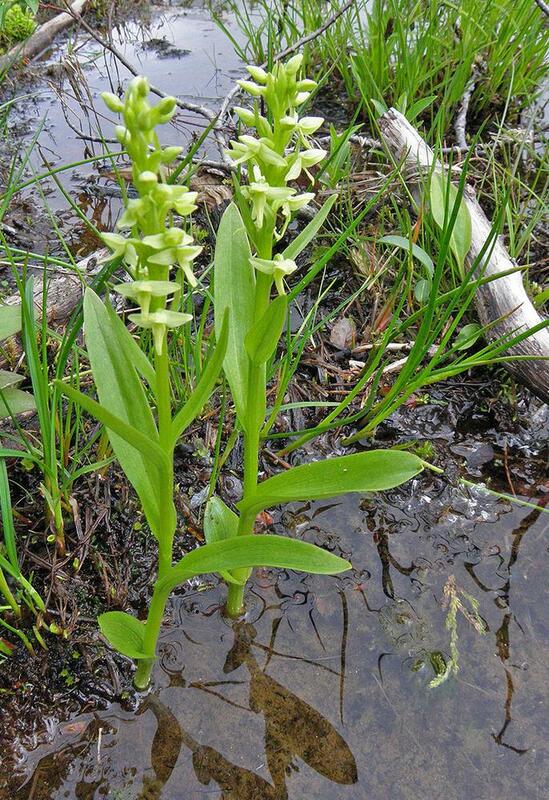 Platanthera convallariifolia, commonly known as Bog Orchid or Cornflower, has a range that extends from Alaska's Prince William Sound, through the Aleutians, to Kamchatka and northern Japan. 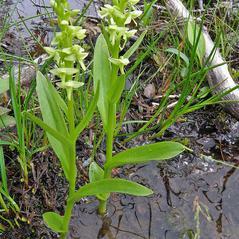 It grows in wet meadows, tundra, marshes, fens, stream banks, shores, and seeping slopes. 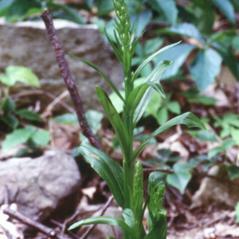 The height ranges from 15 to 100 cm with lance-shaped leaves that clasp the single stout stem. 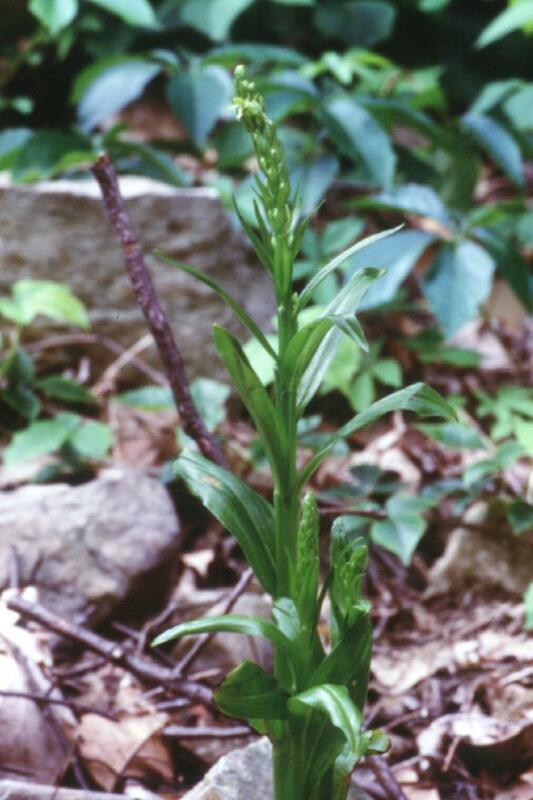 The spike has fragrant, moderately dense whitish-green or greenish-yellow flowers. 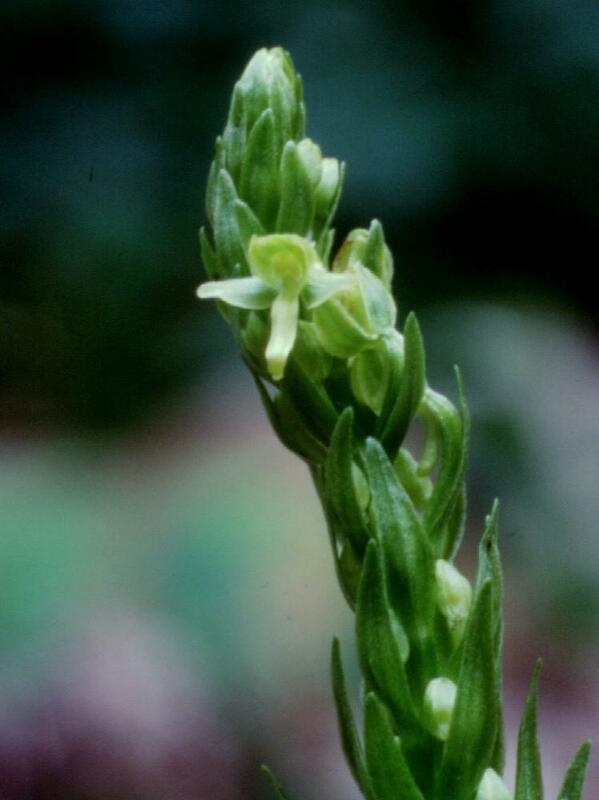 The lateral sepals are spreading. The labellum is descending and lance-shaped. 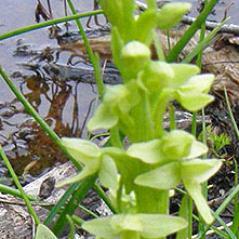 The nectar spur is 2/3 to slightly shorter than the labellum. 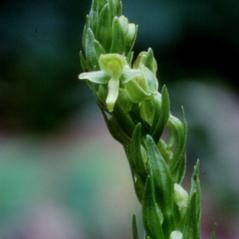 There is some dispute that specimens from the Aleutians identified as Platanthera convallariifolia may actually be a form of P. huronensis.